Corn is the second most widely grown crop on earth today, after wheat, and in the United States it’s the largest crop. But no one in Europe knew about corn until Columbus sailed for the New World. Corn probably first grew in Central America and, by at least 2000 B.C., was cultivated by the Indians in North America. The Indians called it maize. The Indians had a legend that a beautiful maiden turned herself into a corn plant as a favor to mankind, and her hair became the corn silk. Columbus found corn growing in Cuba, and brought some back to Europe. Later, cultivated corn was found growing all the way from Canada to Chile, for it was the main food item of the Aztec, Maya, and Inca Indians. Within one generation of Columbus’s return, corn was growing all over Europe too. What we call corn, the English call maize. The United States produces some seven billion bushels of corn a year, about half the world’s supply. Where does the term Corn Dodger come from and What does Corn Dodger mean? Where Does Corn Syrup Come From and How Is Corn Syrup Made? 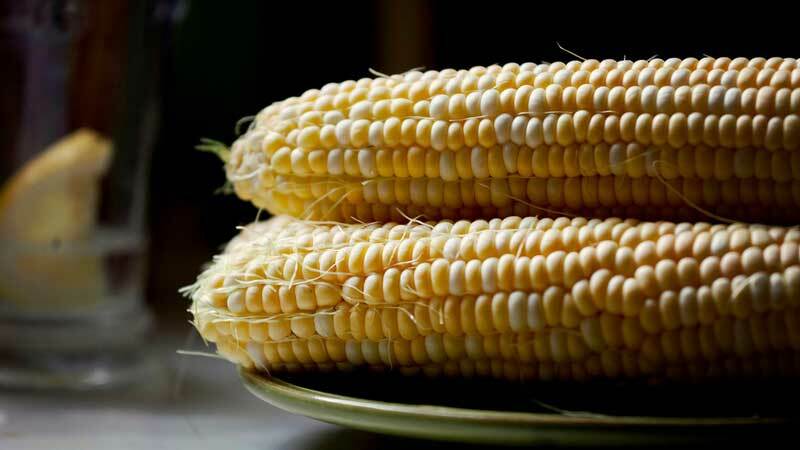 Is it true that each strand of silk on an ear of corn represents a kernel of corn?